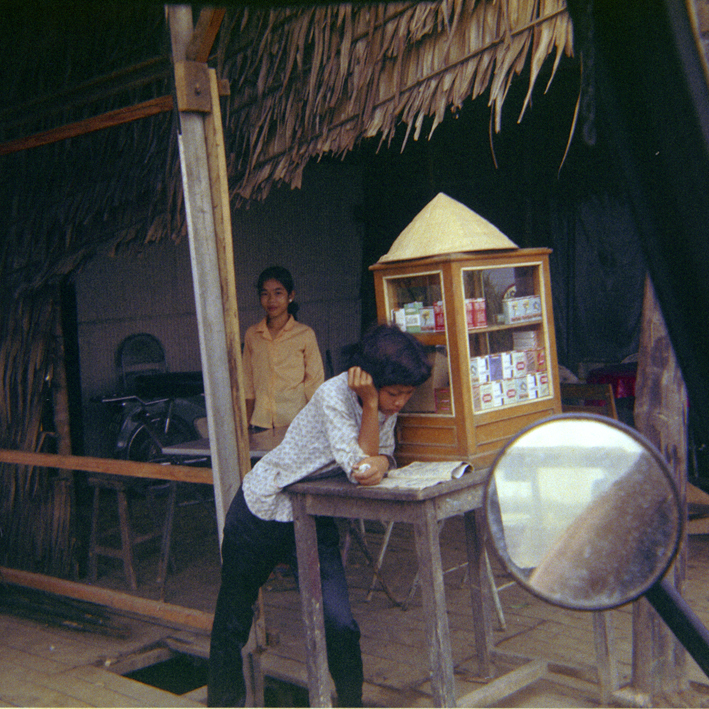 Vendors at the My Thuan Ferry (if I remember correctly) on a branch of the Mekong River. In QL 4, the ferry is recast as the My Linh Ferry and Vinh Long is replaced by Van Loc, to avoid having geographical limitations on the descriptions in the book. A bridge, completed in 2000, has replaced the ferry. Also, the road known as QL 4 is no longer. Instead, it is National Highway 1. On the ferry—greeting the passengers. 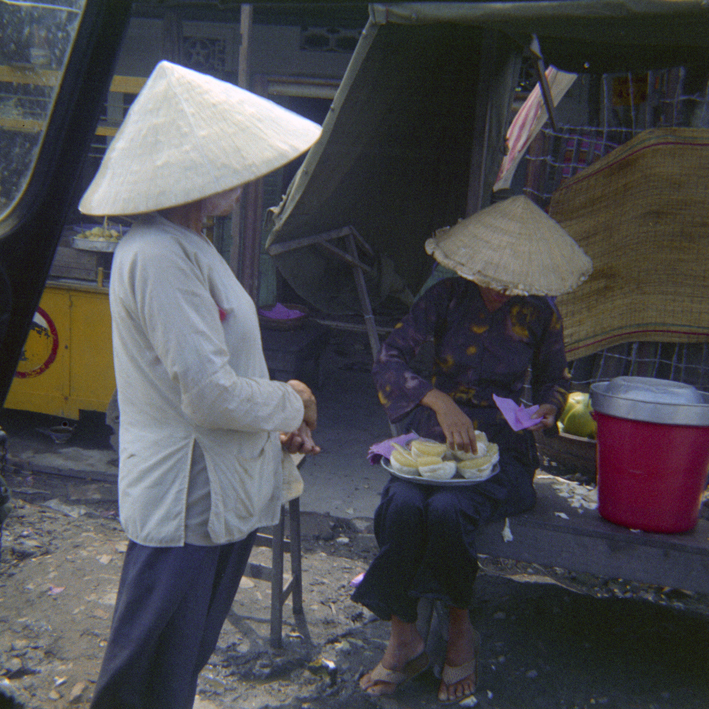 The MP relationship with the Vietnamese public was generally quite friendly, although there were some rough moments, some of which are described in QL 4. 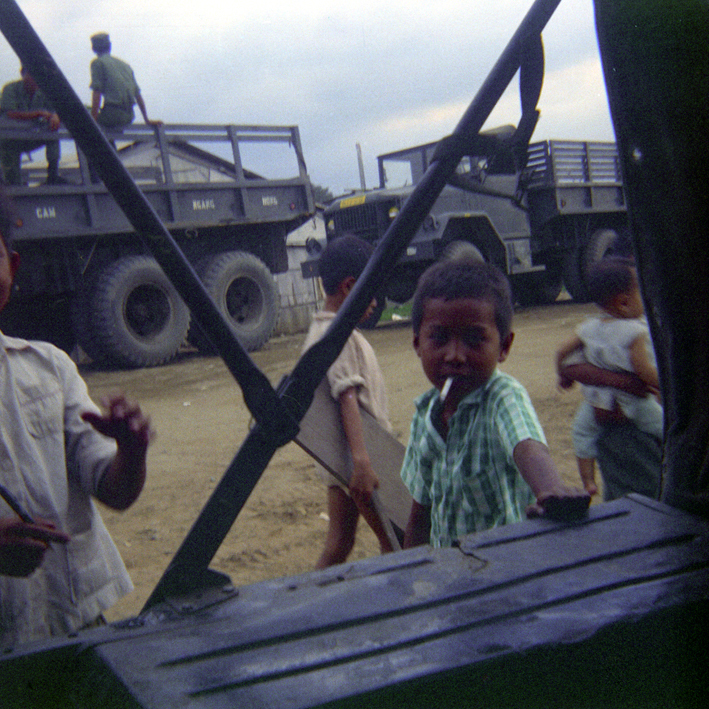 Unpleasant contacts included confrontations with Vietnamese soldiers (involving firearms and grenades) and terrible traffic accidents, such as a boy being bisected by a deuce-and-a-half. 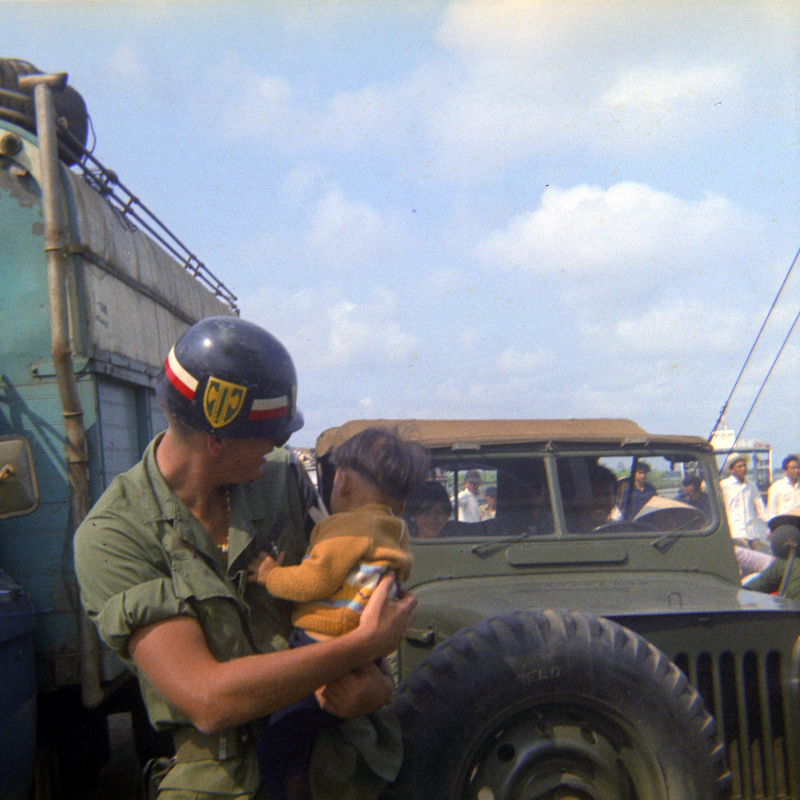 More photos from the ferry, taken with a small Brownie Instamatic from an MP patrol jeep. Street toughs at the ferry, my guess about ten years old. It wasn’t unusual for one of them to tell you, “GI, tomorrow you die,” or some equally encouraging remark.